This event is SOLD OUT. There will be a standby line at the Coolidge Corner Theatre at 5:30pm on 5⁄8. Standby tickets are $5 cash but availability is not guaranteed. An unforgettable cast of small-town characters copes with love and loss in this new work by Pulitzer Prize-winner Elizabeth Strout. 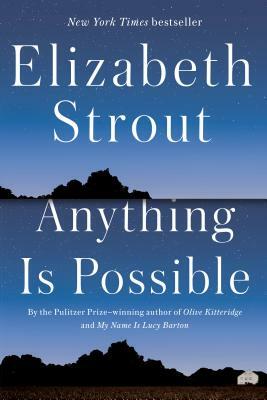 Reverberating with the deep bonds of family and the hope that comes with reconciliation, Anything Is Possible underscores Strout’s place as one of America’s most respected authors. Elizabeth Strout will be in conversation with Andre Dubus III.